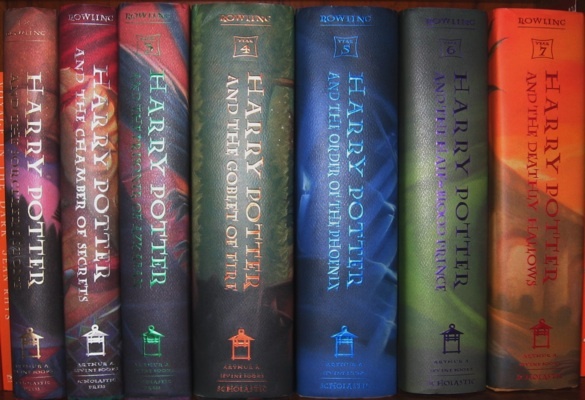 If you’re like a lot of kid readers, you’ve already devoured the entire Harry Potter series. If so, you must have noticed the gargantuan length of the books. The truth is Harry Potter set a new benchmark for Middle Grade and Young Adult books. In fact, since the Harry Potter series launched nearly 20 years ago, the average page length in kids’ books has increased by 115 percent. The Booklist Reader calculated the average length of middle-grade novels for every decade since 1976. Kids’ books have gotten 173 percent longer in the past 40 years, but most of that growth has taken place fairly recently. In 2006, the average middle-grade book was 174.5 pages long and that average has since risen to 290 pages. How has Harry Potter changed the way you read? Do you look for giant, epic sagas or prefer smaller one-off stories? Let me know in the comments below. This entry was posted in News & Reviews and tagged Slider on March 4, 2016 by Clay Swartz.